A couple of months ago, I was sitting on my front porch waiting for my oldest son to return home from school. His bus pulled up to the stop down the street and let off the kids. A girl rushed ahead of the rest and stopped. She slipped off her shoes and continued to walk barefoot. Two boys, upon seeing this, yelled out taunts. "What's that smell? Whoo, put your shoes back on!" The girl ignored them and continued to walk, but I couldn't pretend I hadn't heard those words. I called them out and warned them if I ever saw them do that again, I would have words with their parents. Even though the situation had been dealt with, I often wonder about that girl. How did those words affect her? Growing up, there were things said to and about me that still haunt me today. Some were deliberate. Others spoken in the heat of anger or frustration. Sometimes, it was the lack of words that stung the most. Words are most powerful things, capable of starting wars and destroying relationships. Cruel words can never be erased. I once read a story that illustrates that point beautifully. A teacher had her students hold a piece of paper. "This is a person," she said. "Look at how pure and perfect it is." She then had them crumple their paper into a ball. "This is what happens when that person is bullied." 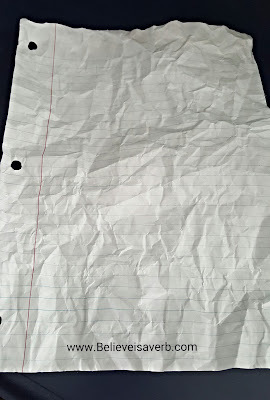 She instructed the students to uncrumple the paper and smooth out the wrinkles as best they could. While many made a valiant effort, no one was able to erase the lines completely. 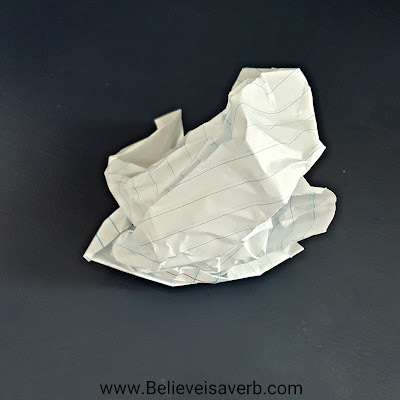 Just as uncrumpling the paper will make it usable again, apologizing and making amends can help repair a situation, but there will always be evidence of the damage inflicted. Bullying is only one aspect of this. 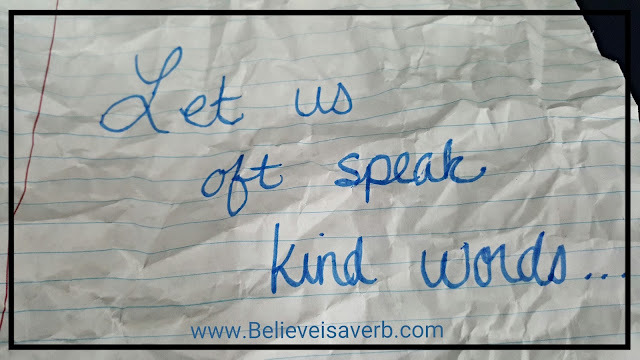 While I never experienced true bullying, I have been hurt by words carelessly spoken. In fact, those the words spoken in a careless moment have been the ones that have hurt the most. The hymn "Let Us Oft Speak Kind Words" was composed while Brother Joseph L. Townsend, the composer, was serving in the superintendency of a very large Sunday School. "[Brother Townsend] heard a number of fault-finding remarks among the people. It occurred to him how much finer it would be if he could hear kind words spoken oftener. With this thought in mind he wrote the song which has been translated into many languages. Some have called it his best sermon. It is said that it stopped the gossiping tongues of the people and produced a kindlier feeling in the town where he lived."